Oh look, another haul post. How original, Aimee. Okay, I hear ya. But don't we all enjoy having a nosy into what others picked up in the January sales? I know I do! So without further waffle, here's what I picked up in the sales. It's safe to say that, after books, I spend a lot of money on handbags. 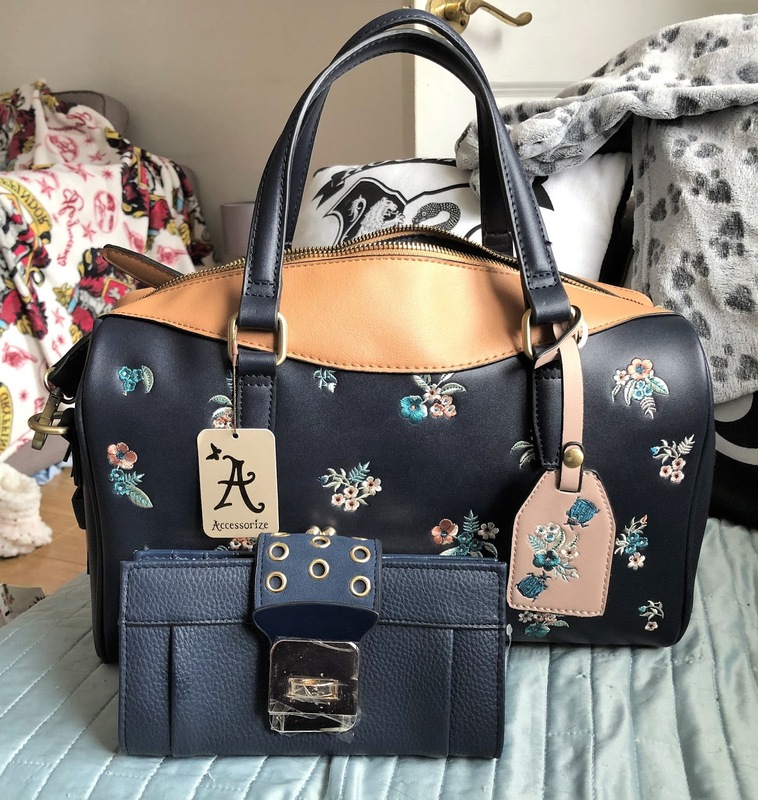 I found this gorgeous handbag in Accessorize, reduced from £40 down to £20. It was the last one left, and I just couldn't leave the store without it! I also picked up this purse from T K Maxx to go with my new handbag, because did you really buy a new handbag if you didn't buy a new purse to go with it? 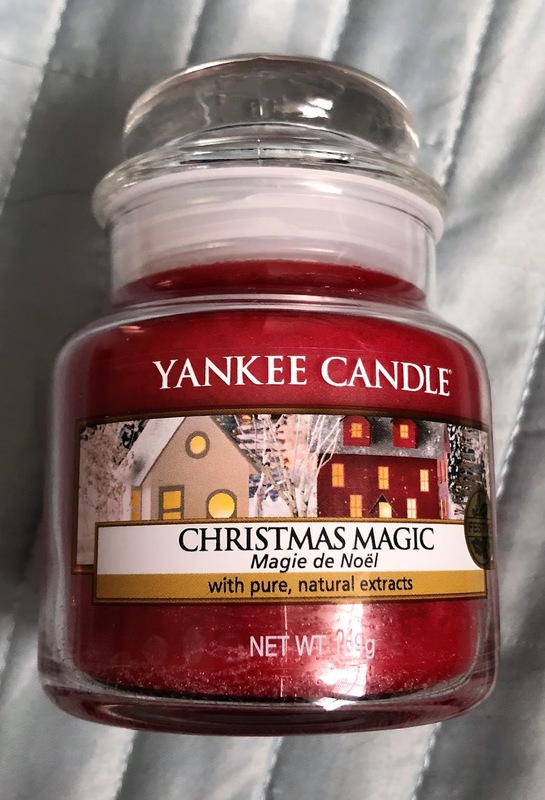 I've never owned a Yankee Candle before. Can you believe it? I know. Does this make me a bad blogger? Probably. When I saw they had a sale on, I decided to buy my first ever Yankee Candle. And I'm so glad I did, it smells AH-mazing. I'm definitely a fan. 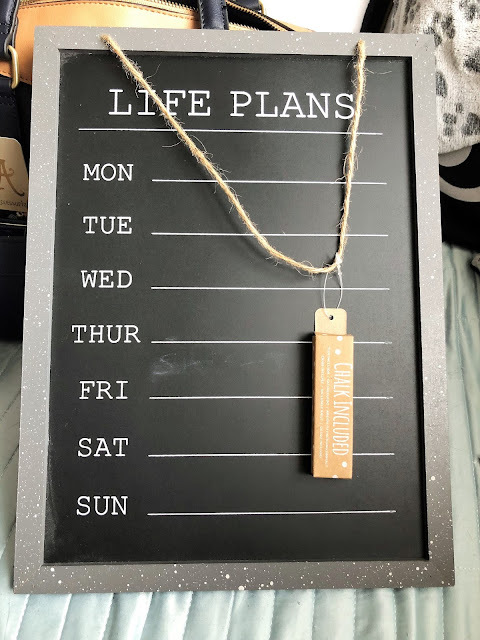 I've been looking for a weekly chalkboard to meal plan with since Christmas. I finally found the perfect board in Primark, for just £5. It was the last one, too. Winning! 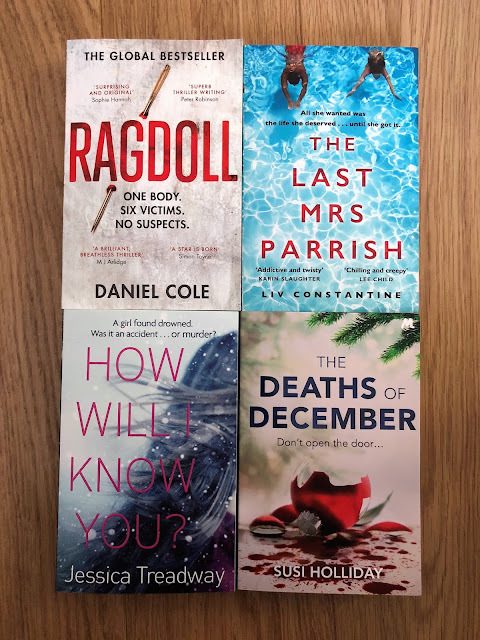 I have spent a lot of money on books recently. Too much, really. But I couldn't resist this book in Tesco for only a fiver! It sounds really good. And a new bra! 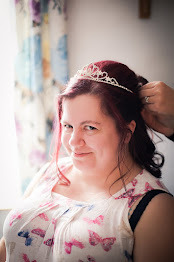 Since the underwire on the bra I bought for my wedding went, I've been after a new bra for ages. I couldn't resist this new style Jasmine bra from Bravissimo; it fits so well, and is really cute! Not technically a sales buy, I picked these bits up in Waterstone's with a gift voucher. My husband always moans about me leaving the lamp on to read at night, so I bought this book lamp. Apparently, it's worse. Love these Essie nail polishes, too. They were my festive nails for Christmas and New Year! 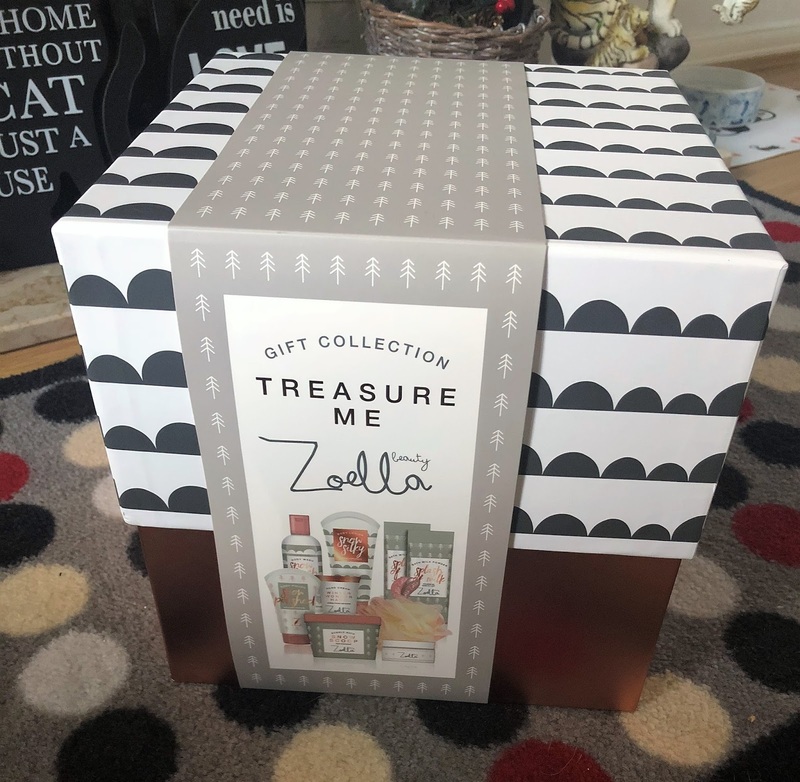 Again, not technically a sales buy, although when I saw how much they were selling these Zoella products for in the January sales, I wished I'd waited. I adore this bottle of bubble bath, though. It's just so aesthetically pleasing! 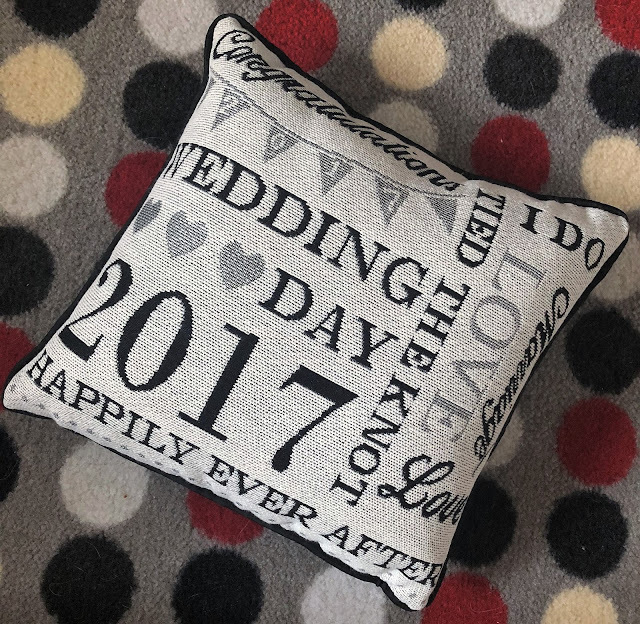 Picked this up in Asda because, well, we got married in 2017. It would have been rude not to, right? I now have two cushions that are wedding related! 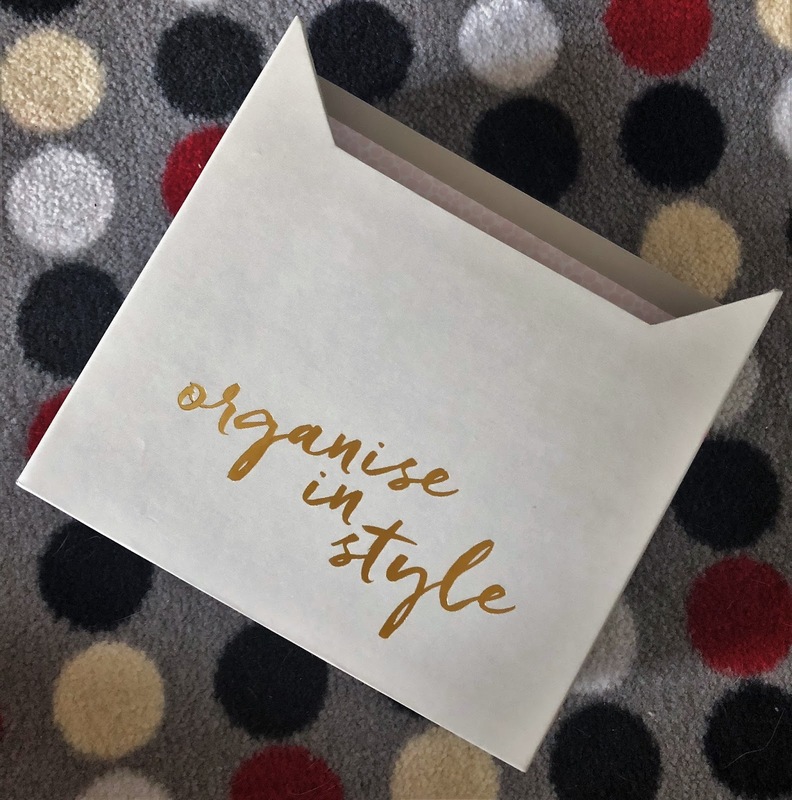 This Busy B organiser is the perfect antidote to all the clutter I had piling up on my table. And it was only £10 in the sale in John Lewis! I love Sarah Millican, so I'm sure I'll find her autobiography hilarious. 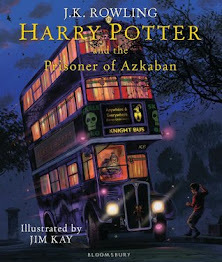 And since it was only £10 in Waterstone's? Well, I couldn't resist. 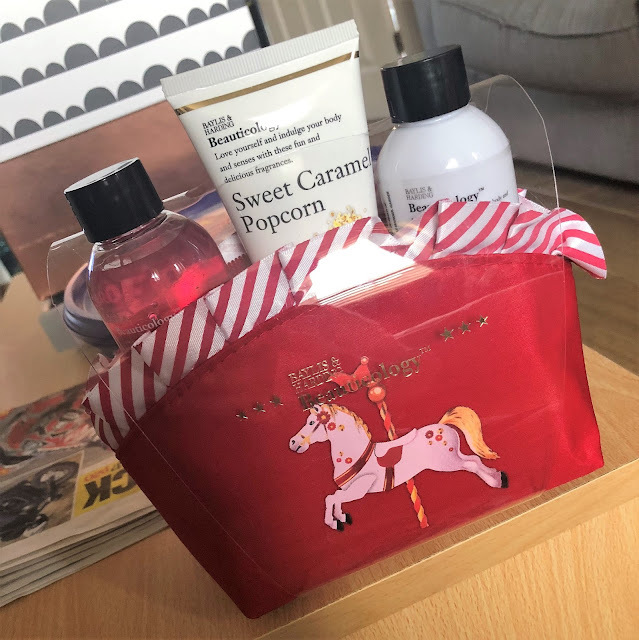 This was another Asda buy, but a beauty gift set I'd been eyeing up in Boots before the January sales. 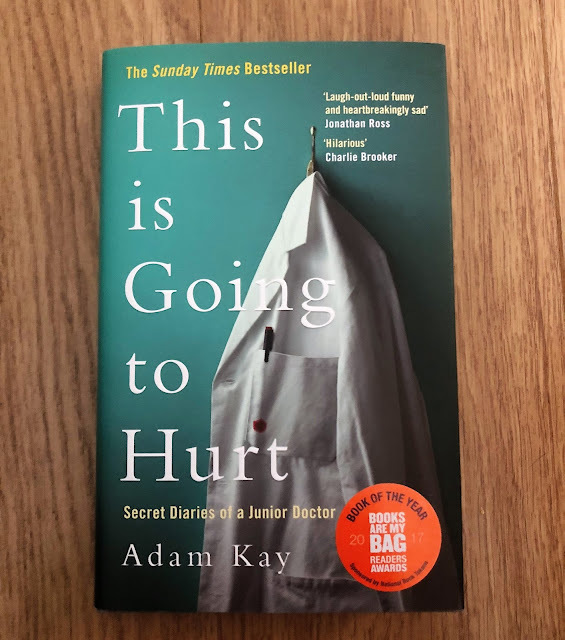 So when I saw it for half-price in Asda, I had to grab it. The scents of the shower gel are divine; toffee apple and candy apple. Yum! I couldn't resist some half-price chocolates. 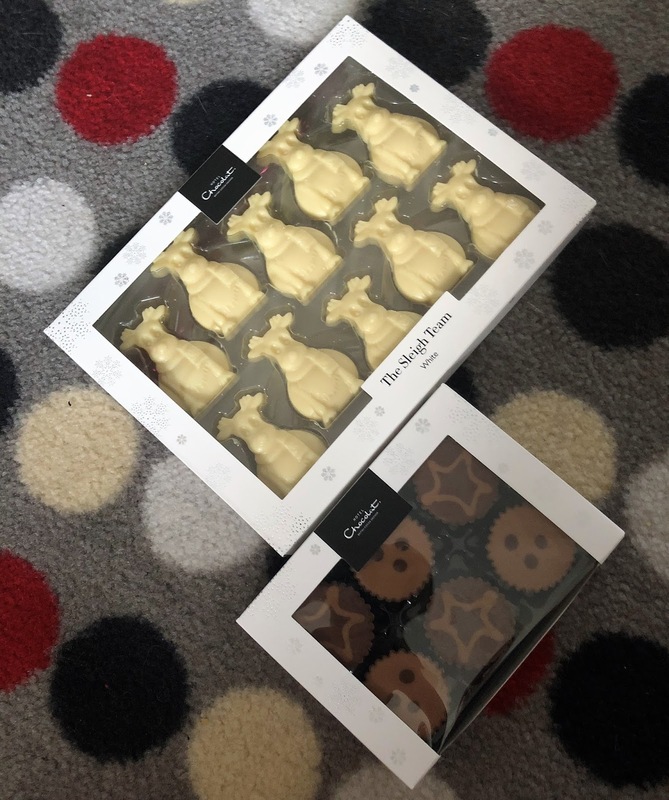 The Sleigh Team (white chocolate reindeers) I bought for my husband. The Alternative Mince Pies were mine! 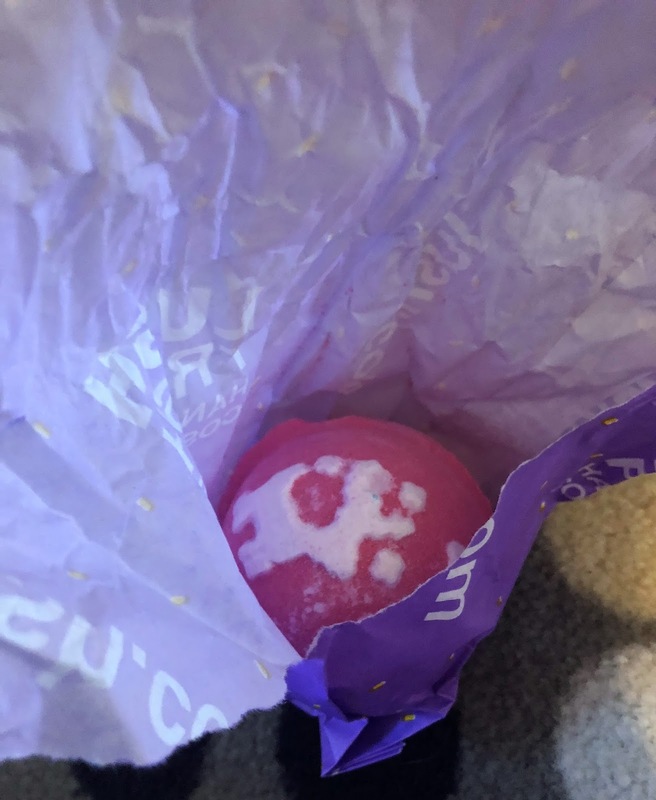 And, of course, I couldn't resist popping into Lush to see what they had left in the sale. 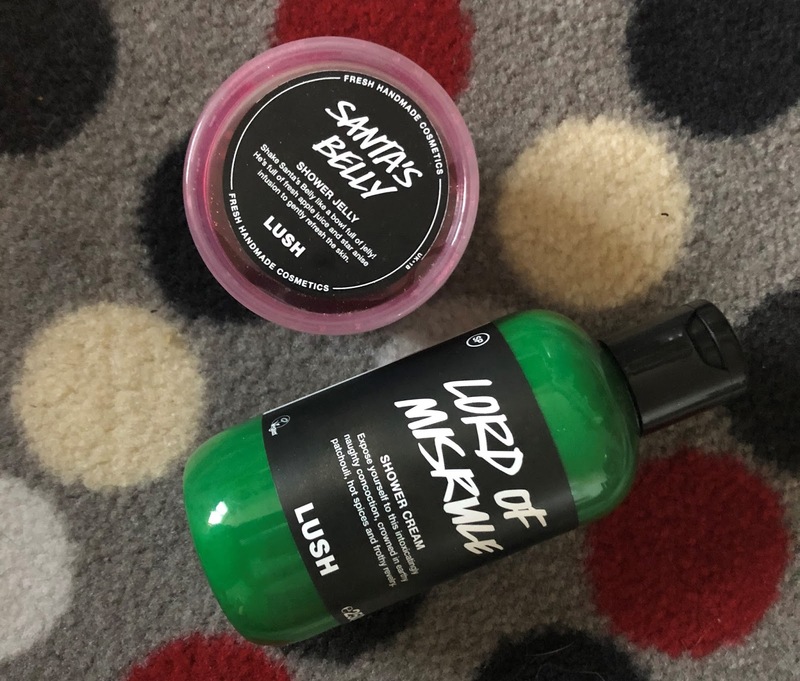 I love the scent of Lord Of Misrule, so I was thrilled to see a few bottles in my local Lush. Santa's Belly is my all-time favourite Lush Shower Jelly, too. Thundersnow Bath Bomb because I was planning to buy all the half-price bath bombs Lush had left. And because I used Thundersnow many weeks ago, and loved it. 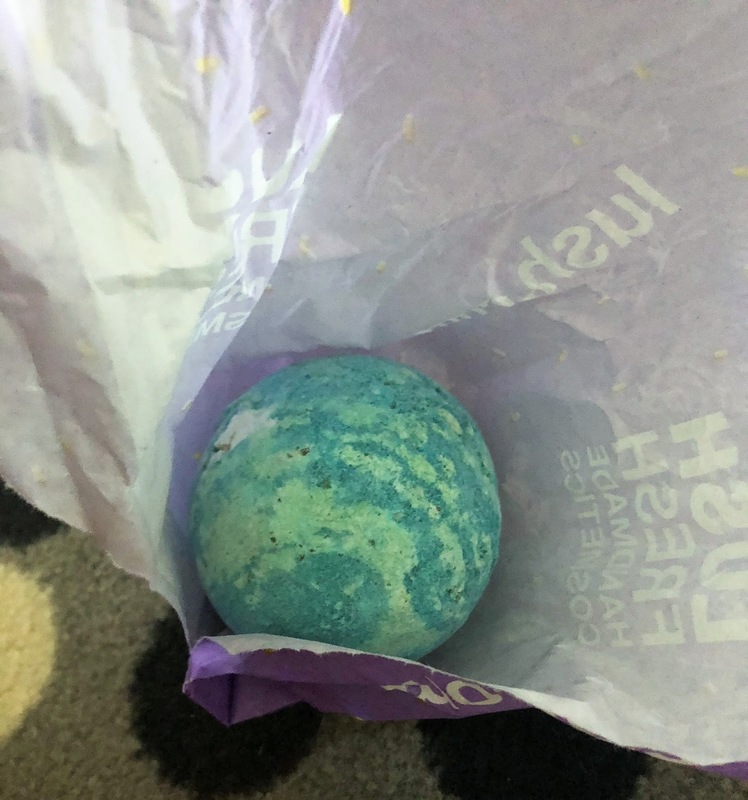 I also loved the Christmas Sweater Bath Bomb. Such a wonderful smell, totally evocative of Christmas. I can't wait to use this one again! 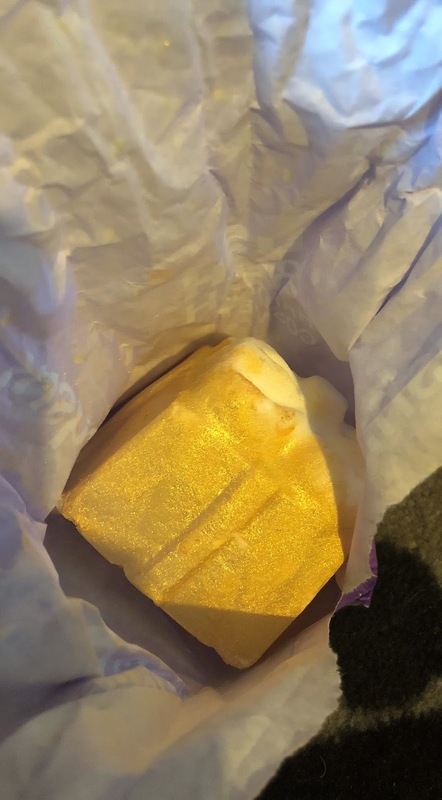 Golden Wonder is one of my favourite bath bombs from Lush. It's so glittery, and I love the deep blue it turns the water. Totally unexpected from it's golden exterior! 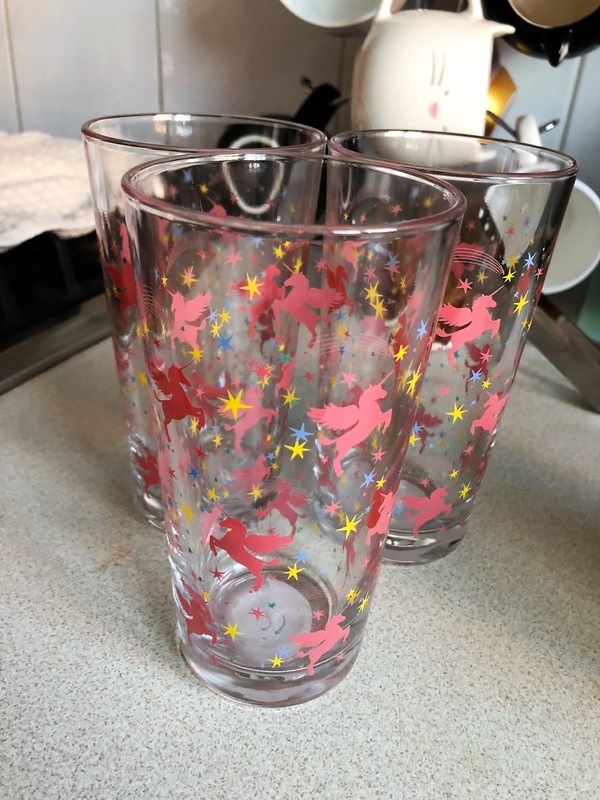 A few months back, I picked up some unicorn glass tumblers from Asda. So when I saw these unicorn glasses in Asda, for only 90p each, I decided to grab a few to add to my growing unicorn crockery collection. 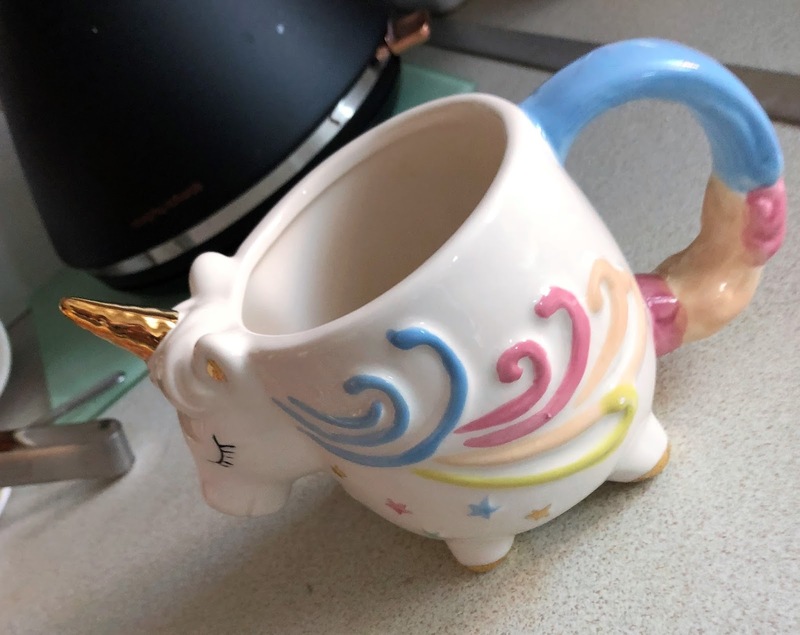 And this unicorn mug was a must-buy because blogger goals, much? Love those pastel colours, and the gold horn. The only downside? It's not dishwasher safe! 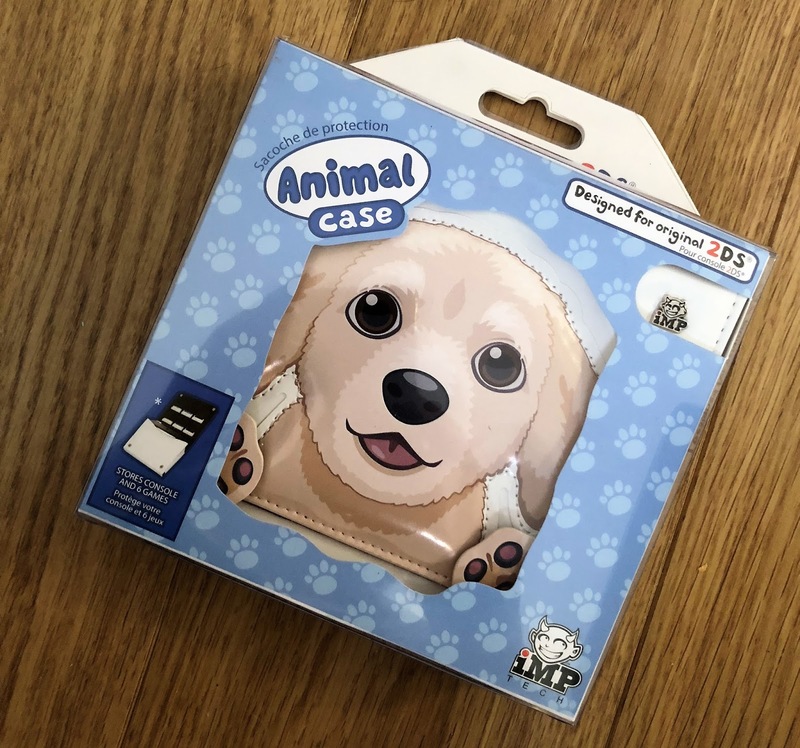 I was lucky enough to receive a Nintendo 2ds for Christmas, so bought this adorable case to keep it safe and scratch-free from Amazon. 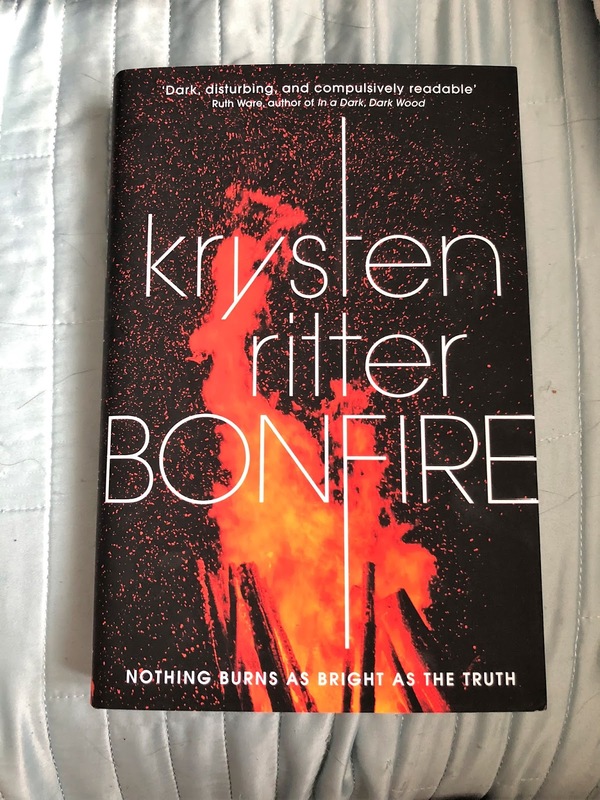 And then I went on a book buying spree. 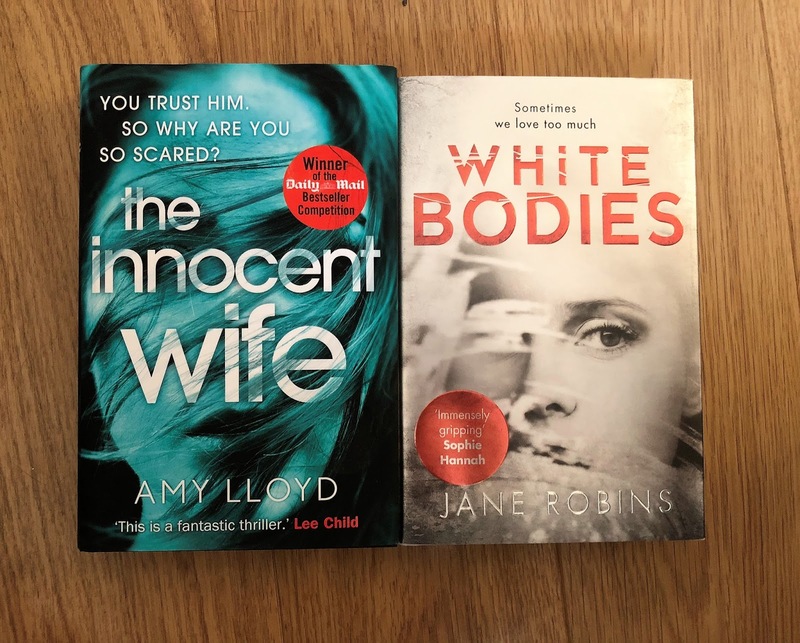 I went a little mad, but am pleased to report that I've already three of the above four, merely a week or two after purchase. I found these Library of Fragrance Cologne Sprays for only £2.50 each in Boots. 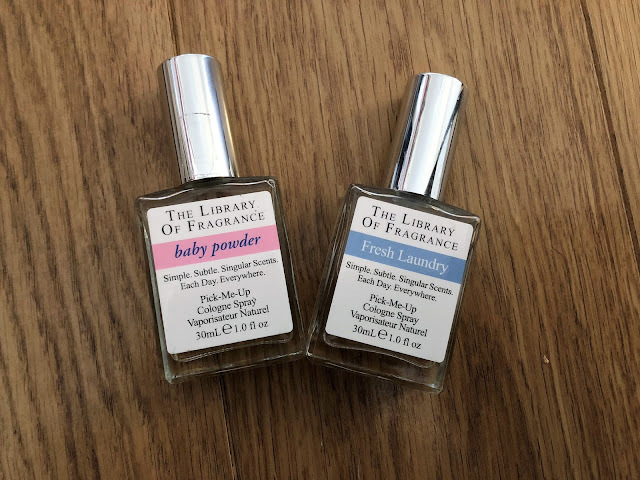 The Fresh Laundry scent is my favourite. But both are fantastic. And a real steal at the price! Back to Asda, and their George clothing sale. 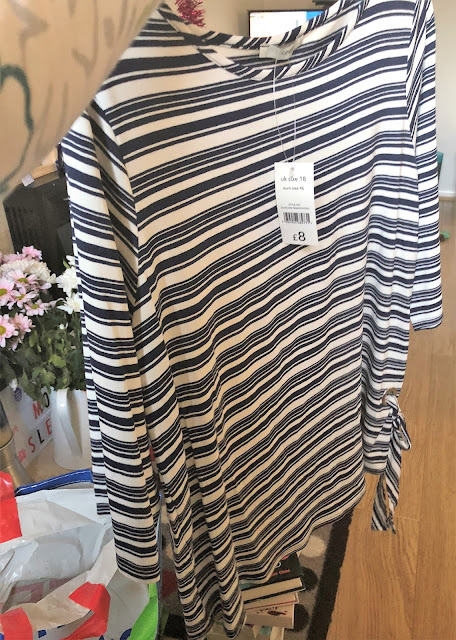 Picked up this gorgeous, striped top for only £4. Total bargain, and one of my favourite tops. 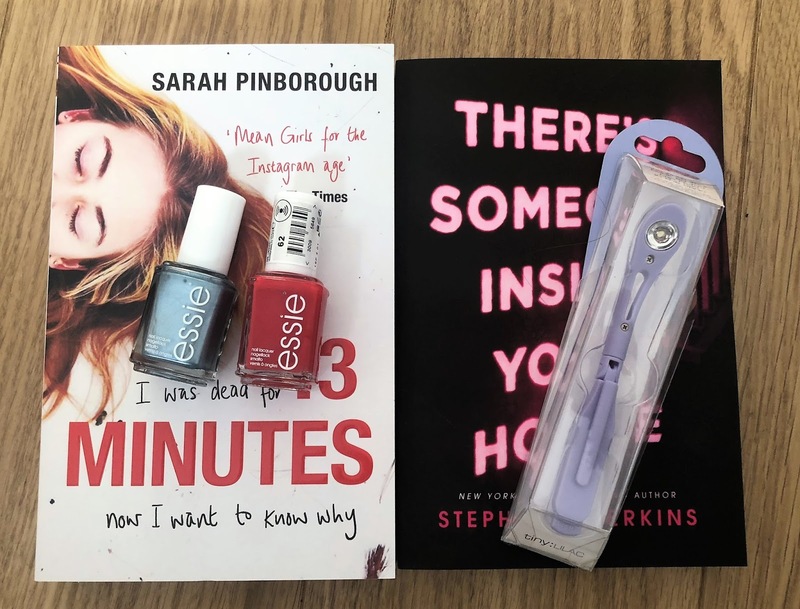 And finally, a little ASOS haul. Unfortunately, this bag had to be returned after taking these photos, as it was just too small and impractical for me. I picked up a new Bando agenda because new year, and all that. 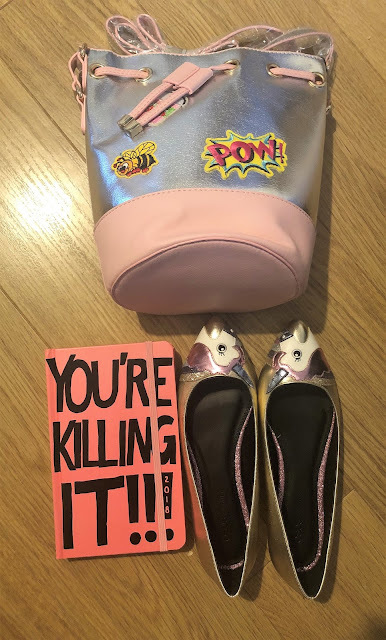 And these unicorn flats I've had my eye on for months were reduced to only £11. So I had to bag myself that bargain! And that's a wrap. What did you pick up in the January sales? I haven't picked up anything the sales. 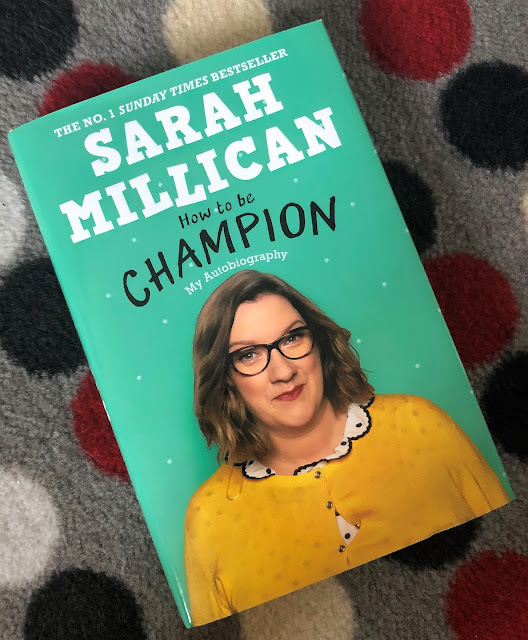 I love that you got Sarah Millican's book though, I've been tempted to get that myself.. It's really good - a funny, insightful read. I'd definitely recommend it! Ooooh, so much interesting stuff. I love your new bag, very nice and floral, and ALL THOSE BOOKS! Nice. 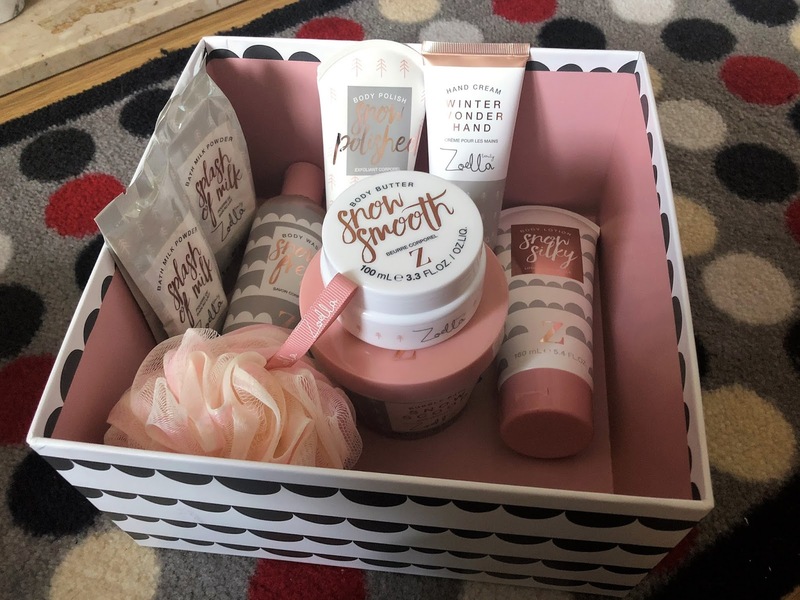 I picked up some of the Zoella beauty bits in the Superdrug sale and I was shocked (and pleased) at how cheap they were! I didn't *quite* get to LUSH in time to take advantage of the majority of their sales, but there were some fab bits still on the 29th!